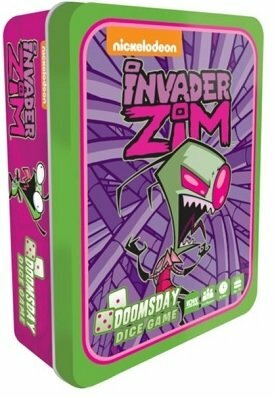 In Invader Zim Doomsday Dice Game you and up to 3 of your friends play as either Zim or Gir working for their Almighty Tallest Irkin overlords. 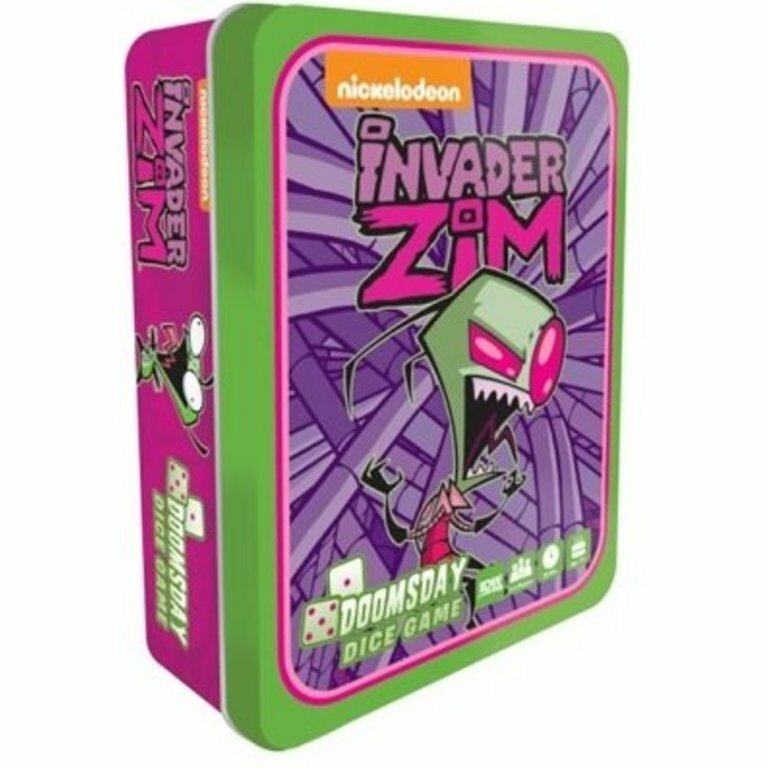 In Invader Zim Doomsday Dice Game you and up to 3 of your friends play as either Zim or Gir working for their Almighty Tallest Irkin overlords, or as Dib or Agent Darkbootie working to protect the earth as part of the secretive Swollen Eye network! Draw cards to build a krazy machine to either destroy the earth (yay!) or save it (boo!). Connect matching cards and earn power surges that let you roll the BIG DIE. The more rolls, the more power you can generate. You might even get to roll the tiny special die (aww, it’s cute!). Be careful though, as rolling either die can end in a fizzle or a malfunction, costing you all the energy you’ve earned or even breaking your machine! The first player to earn 100 energy wins, and everyone else owes them taquitos! Game design by Spencer Reeve.